What happens, in other words, when imagination enters factual reality? This doesn’t, as far as I can tell, heppen only in Christianity — Henry Corbin’s book, Creative Imagination in the Sufism of Ibn ‘Arabi, if I read it right, narrates an apparition of Beauty in the life of the Sufi known to Islam as the Sheikh al-Akbar, the Greatest Sheikh. In India I was taught that Valmiki wrote the Ramayana, and Vishnu liked it so well he took the avatar-form of Rama to live out the epid in Valmiki’s honor, amybe 10,000 years later, every last detail correct. I have my own experiences. When I was about eight or so, I had a recurring dream, in which I was walking in the (grassy) English countryside, and a series of holes began opening in the earth around and in front of me. They were roughly manhole-sized holes, and after I had avoided a couple of them, I fell down one of them, much like Alice. I found myself in Hell. To be precise, I was in a sort of stable with a number of stalls off a corridor that linked them — with fires burning in the stalls. Someone tried to throw me on one of the fires, and I objected, telling them I was a friend of the management — so they went off someplace to check. When they came back, they told me that I did in fact have the freedom of the whole place — and indicated to me that besides the stables with their fires, there were two further rooms, one of which was a vast granary filled with silver corn, the other a granary of golden corn. I would wake up as I moved through those two other rooms — and if I woke without having had this dream, I would frequently burrow back under my sheets and covers and demand it. And it would come. It also told me that I was a citizen of the two realms represented by the granaries of silver and golden corn. I take them to be lunar and solar granaries, and equate them with the realms of poetry and mysticism, respectively: or one might think of them as savikalpa and nirvikalpa, via positiva and via negativa, Broceliande and Jerusalem, the imaginal and the radiant. 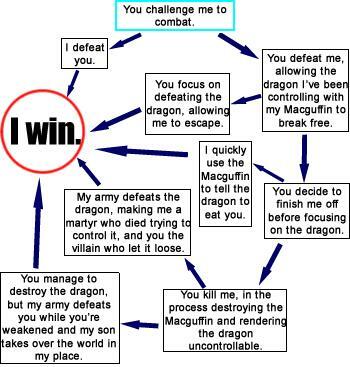 It was also clear that all three realms belonged to that same “management” whose friendship I had claimed, and which allowed me the freedom of the three realms. I understood on reading Dante (and remembering the dream after a lapse of years) that all three realms are realms of the divine love. Well, that’s pure dream, with its waking content a way of moving through this world. Question #2 is the real shaker, though.. I would venture to say that approaching the Christian Story from this direction, it has long been my feeling (a joyous feeling) that God redeemed the corrupt making-creatures, men, in a way fitting to this aspect, as to others, of their strange nature. The Gospels contain a fairystory, or a story of a larger kind which embraces all the essence of fairy-stories. They contain many marvels—peculiarly artistic, beautiful, and moving: “mythical” in their perfect, selfcontained significance; and among the marvels is the greatest and most complete conceivable eucatastrophe. But this story has entered History and the primary world; the desire and aspiration of sub-creation has been raised to the fulfillment of Creation. The Birth of Christ is the eucatastrophe of Man’s history. The Resurrection is the eucatastrophe of the story of the Incarnation. This story begins and ends in joy. It has pre-eminently the “inner consistency of reality.” There is no tale ever told that men would rather find was true, and none which so many sceptical men have accepted as true on its own merits. For the Art of it has the supremely convincing tone of Primary Art, that is, of Creation. To reject it leads either to sadness or to wrath. A roaring silence, in other words, which somehow worked itself out like this in the mind of one Franz Liszt — and he must have been pretty shaken by the end of it..
For the record, it’s my sense that if St Gregory of Nyssa had had a taste for Liszt and access to YouTube, he might have said much the same.. One cannot predicate existence of God, but one can experience revelation, eh? Often confused with things people print with broken lines, poetry is a view on things, an angle oblique to reality revealing an archipelago of plausible, interesting deeper meanings, not behind but within the everyday. Under that definion, poetry is irrepressible, while the broken line stuff is failing, almost dead, precisely because it so oftten lacks authentic poetry. 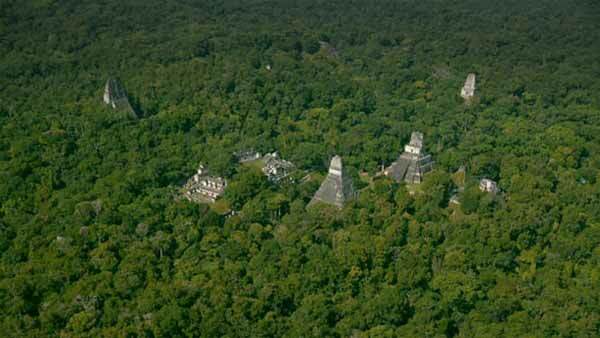 From Exclusive: Laser Scans Reveal Maya “Megalopolis” Below Guatemalan Jungle. So: “the night can come to be seen part of the enemy” — true in terms of personal experiences of war (we’re talking Vietnam here) no doubt, but also mythic in its resonance, in a way that’s inseparable from its practical, field reality: night as darkness, the unknown, mystery, terror, all providing a cloak for sudden attack. From Preventing the Barbarization of Warfare: The USMC CAP Program in Vietnam in the Small Wars Journal, not a source renowned for poetry — or “poetry” for that matter. Her hall features a large golden Buddha from her parents in Woodstock; her father, Robert Thurman, is a Buddhist professor of Indo-Tibetan studies at Columbia who thinks Uma is a reincarnated goddess. — a goddess, with a lower-case “g”? This is no doubt the most astonishing. Bringing the moon and the sun together always makes me happy. The alchemical conception of one of the stages of the coniunctio. Here the ‘king’ and the ‘queen,’ who may be taken as Sol and his sister Luna, appear as symbols of the primordial psychic opposites, masculine and feminine. Their ‘marriage’ is meant primarily in the spiritual sense, as is clear not only by the words of the middle band spiritus est qui vivificat, but also by the dove as symbol of the spirit, and according to the ancients, amor coniugalis. The primordial opposites confront one another in their naked, unfalsified truth and essence, without conventional covering; the difference between them is evident and ‘essential;’ it can be bridged in fruitful union only through the intermediary of the spirit symbol, the dove, the ‘unifier’ which intervenes from ‘above.’ The branches held to form the cross, the flores mercurii, and the flower hanging down from the dove’s beak—all these symbols of the process of growth illustrate the common effort of man and woman in the living work of the coniunctio. Borrowed from Yin, Yan, the Tao, and Wholeness. For Ari Melber, out of the blue, to come up with this expression of his “happiness” at “bringing the moon and the sun together” is a stunning instance of the breaking though of the prime symbol of sheer alchemy into an MSNBC news program — in the midst of the Trump / Mueller controversy! A magical — peacetime — way of nightt..